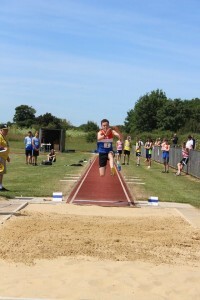 On Saturday 24th June our Junior athletes travelled down to Banbury to compete in the second fixture of this years Heart of England Track & Field League. 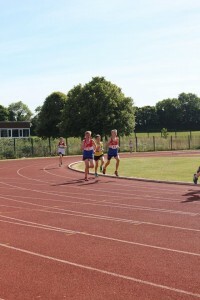 On a very warm day those present represented the club and their were lots of great individual and team performances. Having finished 6th at the first fixture we were disappointed to be a few athletes missing and the gaps in our team sheet perhaps inevitably meant that we finished in 8th position on the day. 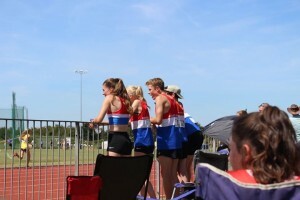 We need as many athletes as possible to compete at the final fixture at Worcester on Sunday 8th July if we are to avoid relegation from division 2. Thank you to the club for subsidising the coach travel once again, to the officials, coaches and parents for all their help and support on the day. 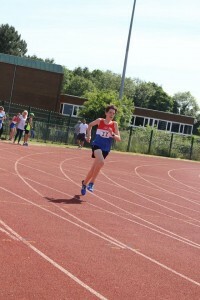 Thanks to Kevin Davison for the photos.